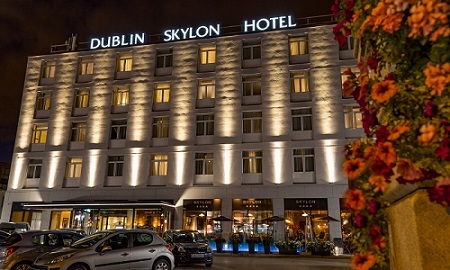 The Dublin Skylon Hotel offers a number of flexible options when looking for a dining experience in Drumcondra. From formal dining to a more relaxed affair, our Head Chef, Wayne, delights in preparing superb quality food using locally sourced ingredients. Wayne says ‘‘it’s not just a choice of food but the involvement of the planning and preparation of serving it. We really strive to create dishes that our guest wants". Our menus are designed to complement every occasion with lots of options and menu plans to choose from. Call us today and let us help create your own fully customized dining experience. 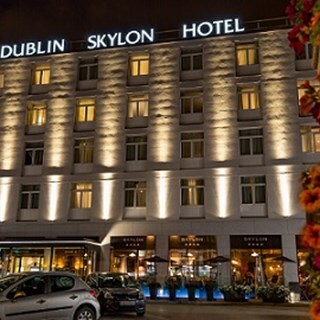 Discover the many delicious menu options at the Skylon Bar & Grill, one of the tastiest restaurants in Drumcondra Village. You will be able to enjoy breakfast, lunch & dinner in a contemporary setting designed by Audrey Gaffney. 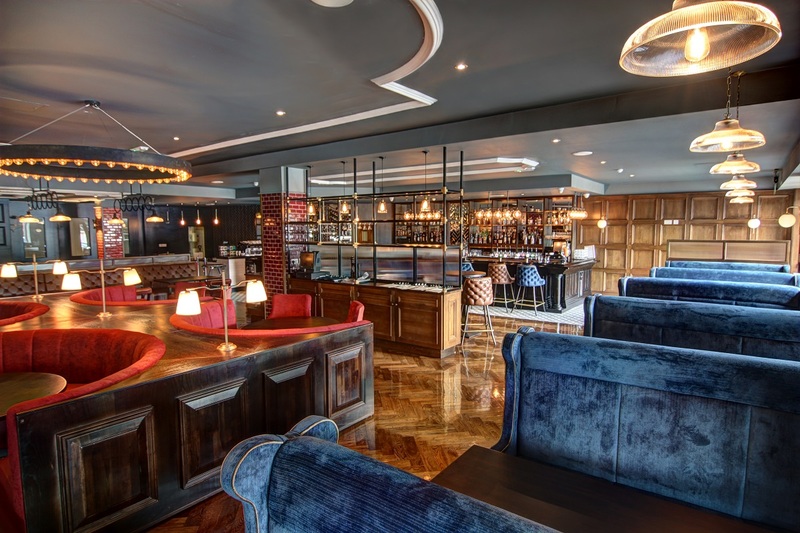 Whether you are hosting a business dinner or looking for a private function with your family and friends, we have a renowned and excellent reputation with our guests to be the venue of choice for life's celebrations and special occasions. Set in our warm and spacious lobby, the Skylon Afternoon Tea is an experience not to be missed. Alongside the essential elements of a traditional afternoon tea, enjoy a selection of elegant finger sandwiches, freshly baked scones and delicate desserts that is all accompanied by a nice pot of freshly brewed leaf tea. The only slightly negative comment I have is that the length of time between when dessert menu was brought out until the order is taken was too long. This is not unique to Skylon. Great place and wonderful staff who go the extra mile. Paul Fitzpatrick deserves a special mention. We use the Skylon on a regular basis and he always is very attentive and makes sure we have everything we need. I have stayed at your hotel for the past 3 days & had a fantastic time. The staff were lovely & helpful & the meal we had on the first evening was also fantastic. When I booked the stay a few months ago, I saw that you had a afternoon tea underneath a gorgeous tree, so I reserved a table for this for 12pm today (prior to our flight home). We checked out at 11.55 & walked round to the restaurant. We expected to be shown to our table but no members of staff were there. After 10 minutes I went to Reception & they said that I can find the table with my reserved name on, so we did. We then weren't greeted or asked for our drinks orders, so after 35 minutes I went back to Reception & they said 'a butler' would come & serve us. He took another 10 minutes, so in total we were waiting for an hour just for a drink. I explained this to a young girl (with blonde hair) & she didn't apologise. I said that we had been waiting for an hour & she looked at her watch & said 'yeah'...! We then had to rush the food (which took another 10 minutes to arrive). Nobody came & asked if we wanted anything else, or checked on us. When I asked for the bill as we had to rush off, I asked another young lady for it & after 5 minutes of no one coming over, I then went into the bar area myself & asked an older gentleman for the bill. He then didn't know how to use the card machine & I had to type it in myself (after we had to walk to Reception as there was no WiFi for the card machine). We had to rush as I was expecting for it to start at 12pm, but we didn't even get a drink/start eating until 1pm. We had to leave no later than 1.30pm to get to the airport. I notice on your website now that it says afternoon tea is served from 12.30pm, which I was unaware of. When I booked it, I wasn't informed & I wasn't at any point today either. I have been promoting the hotel on my social media to my thousands of followers this week, so this was a very disappointing end to the stay. Especially when I was looking forward to it & had to pay £35 for poor customer service. Overall, a very disappointing day. Lovely lunch for my son's confirmation. Service was a bit slow we had finished our tea before the desserts were brought to the table. Otherwise we had an enjoyable meal. We were so well looked after by Colette and staff. Would highly recommend to others. I brought my Grandmother and Aunt for Afternoon Tea at The Skylon last Saturday and it was fabulous! Beautiful setting under the pretty cherry blossom tree and our table was so gorgeous, with the blue and white fancy china tea service. Food was delicious and a great selection for us all! But the best part was the courteous and unbelievably helpful fellow who waited on us! He was so attentive and professional! The smartly uniformed doorman of the hotel was super too, as he kindly helped my Grandmother and Aunt out of the car, even seating them in the lobby while I parked the car. Who needs the Shelbourne! Top marks to The Skylon for a wonderful restaurant and spectacular staff!! We look forward to returning very soon! Thank you so much!! The staff were really helpful and friendly. Good value lunch options. Really enjoyed the Afternoon Tea on 20th February. The food was excellent, as good as some of the much more expensive hotels.Padraigh looked after us very well and took the time to chat with us. Thank you. This was my second visit for afternoon tea. The service is excellent and I would especially like to mention Paul who looked after us as if we were the only people there. My daughter and 18 month old Grandson enjoyed themselves immensely. The only small gripe I had was that people were double parked and also parked on ramp to underground carpark. I parked a few streets away after dropping my daughter off first. And parking there was only €2 for 3 hours. Hotel has been recently renovated and looks splendid. First impressions is the atmosphere is classy and welcoming. The staff are attentive and friendly and efficient. The food was lovely. Would recommend this hotel highly and its so close to city centre too. The servers were very pleasant and helpful. We had a lovely afternoon tea. My mother in law was very impressed  with her complimentary prosecco toast for her 80th birthday. Excellent service and wonderful attention to detail. We will be back. We celebrated our anniversary last weekend and everything was amazing! The staff is very friendly and kind! In addition to this,  in front of the hotel there are bus facilities to go to the downtown easily. I will definitely recommend this hotel. In fact, if I go to come back to dublin I’ll stay there Irene&Marc. Delay in serving was far too long. Actually had to wave at waitresses to get initial service and despite asking for desert menus, eventually had to go looking for them ourselves. One of the group of 14 did not get her dinner until all the rest had almost finished. Apart from this we like the Skylon but the service is not good - the same happened two years ago on New Year's Day - left waiting. Staff very nice when serving but should not have long wait to get service. The venue was beautifully decorated, staff were extremely helpful and friendly, our party of guests thoroughly enjoyed the afternoon and complimented the service provided. Thank you to all staff who made us very welcome. Merry Christmas. Food was good & great variety too however we waited over 1 hour from ordering until food arrived. This included the kids meals. We booked the private dining room for a 90th birthday lunch for 22 people - everything was great, from Colette's support and advice before we booked, to the food and service on the day in a beautiful, relaxing setting. Thanks to all for making it a great day. Always excellent. Nothing is ever too much trouble for staff. We are there at least 4 to 6 times a year and I would highly recommend it  to the business community.